3 pc. 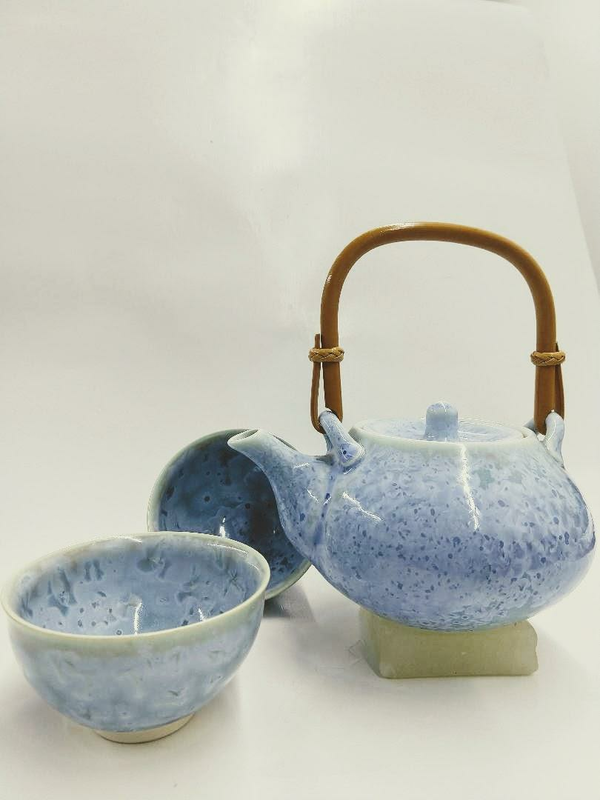 light blue crystal glazed tea with shimmering morning cloud like surface. Teapot width 5 1/4" and teacup diameter 3 1/8".